This is a rectangular Up Town Soda porcelain sign. 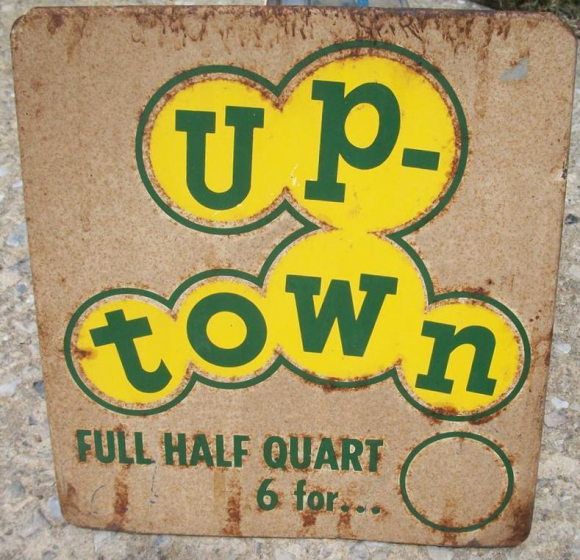 This particular Up Town Soda sign is white with green and yellow print. It reads, “Up Town, Full Half Quart, 6.